Lease to Purchase Forms are similar to the usual lease forms, with the added feature of the option to buy and own the property by the end of the lease term. This kind of agreement allows the potential buyers to lease and use the property right away before deciding to purchase. 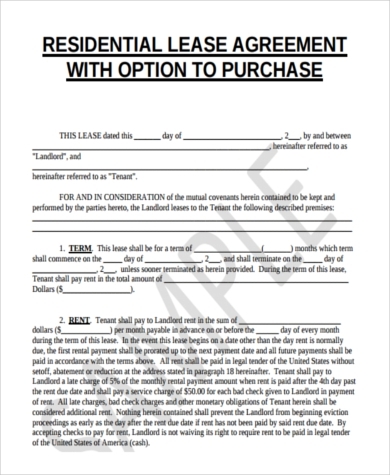 Here we have a few representative samples of sample lease to purchase forms. These also include vehicles and equipment leases, although this option is most often found in residential property leases. Feel free to download these samples for free as a point of reference, in case you are looking to lease to purchase. 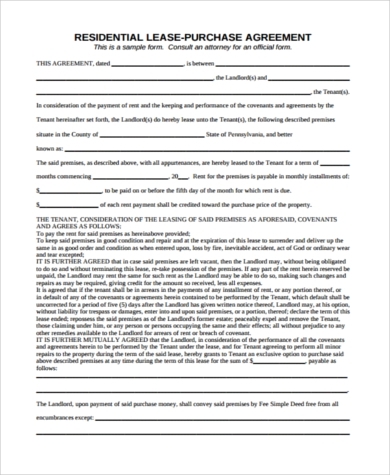 “Lease to purchase” is also called “lease to own” or “rent to own.” These are relatively rare compared to straight sale or Lease Application Forms. 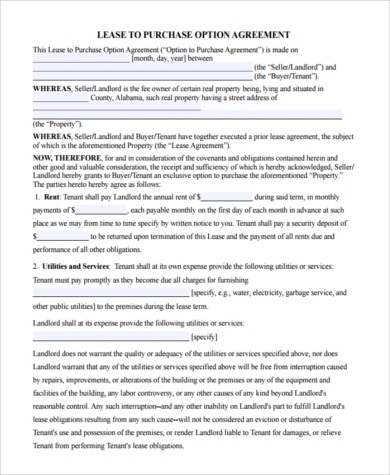 Leasers who sign these kinds of contracts will have to pay the original owner a one-time premium fee also called the “option money.” This essentially reserves the property for their option. The owner cannot then offer the property for sale to anyone else while this lease-to-purchase term is still active. However, these kinds of contracts also tend to favor the home-owner or landlord and put the leaser-buyer at a disadvantage. Note that if the contract does not include the word “option” – i.e. 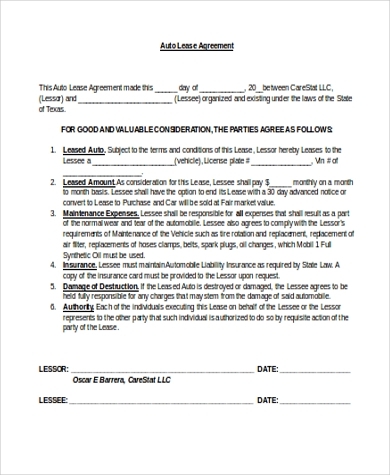 if it is simply a “lease-purchase” contract – you might be legally obligated to purchase before the lease term expires. 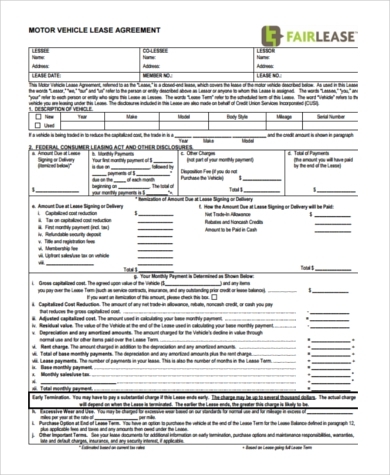 If you are not absolutely sure you are going to purchase the property, make sure the form template you choose explicitly states that you have the option to purchase during or at the end of the lease. Then in case you decide not to buy, you can forfeit this option. 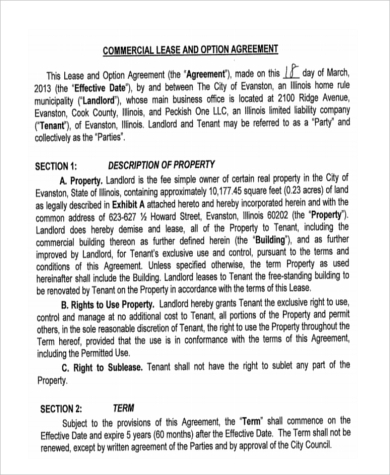 Why Go for Lease to Purchase Contracts? If you’re selling, and the house has been on the market for a while with no takers for the straight sale option, a lease-to-purchase agreement could lower the bar and generate cash flow for the mortgage through lease payments. Renters who go for the lease-to-purchase contract tend to be more invested in the property and in maintaining it well, since there is the possibility they will own it one day. If you’re looking to buy a home, but have a less-than-perfect credit history, this might be a more doable way in. Once the contract is signed, you can “lock down” the purchase price with the owner, so you won’t be affected by unexpected future rises in home prices. 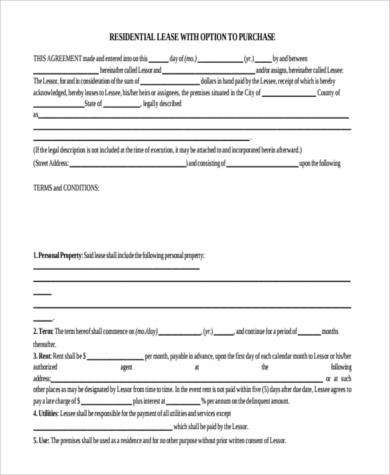 Lease Purchase Agreement Forms is just the start of the forms you will need when you lease your property. 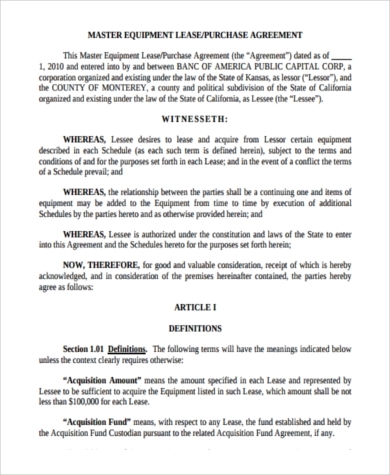 To start you off, check out the Sample Lease Agreement Forms we have on our free archives downloadable as PDF, Microsoft Word, and Excel files. 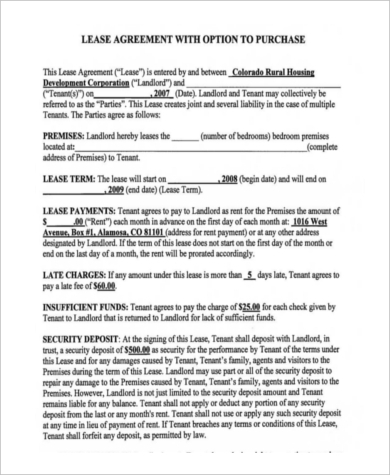 You might also want to draft Lease Termination Letters as both generally are the same. Forms for all these and more rental and leasing situations are available in our archives. Go check them out for free and helpful guidelines.